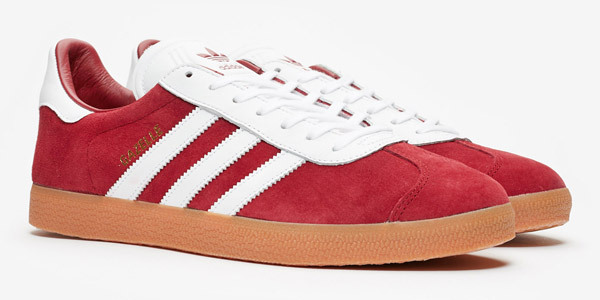 Nice to see the Adidas Gazelle trainers getting a throwback reissue in a choice of a red or a blue finish. 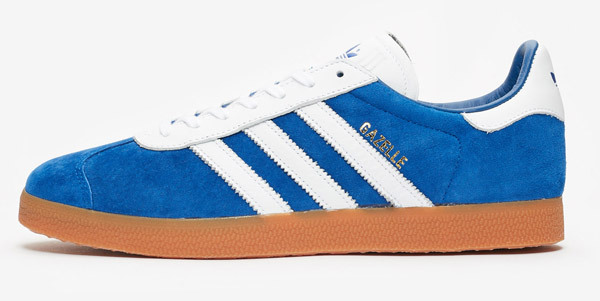 That’s right, another reworking of the classic Gazelle, a shoe that dates back to the 1960s. But hang on, this is a reworking in a good way. 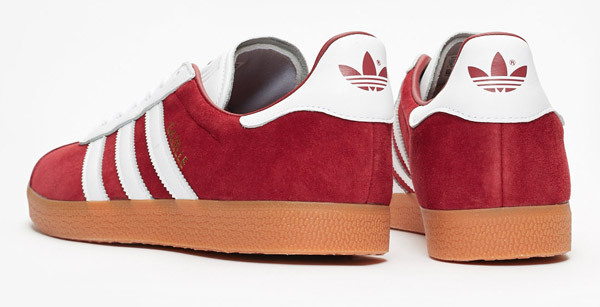 All too often a reworking of a shoe is a collaboration and as a result, said shoe often looks absolutely nothing like the shoe is started off as. Not so this time. 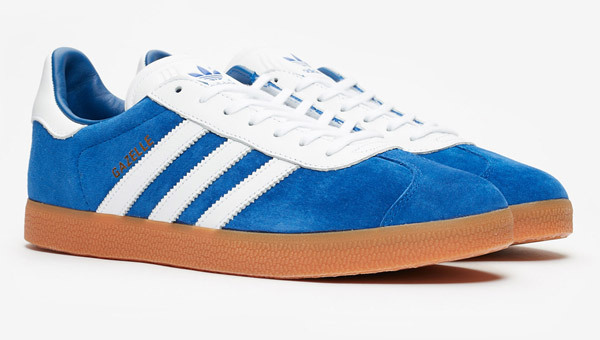 Adidas has actually taken the step of ignoring the idea of moving forward and move back, creating a Gazelle that looks like the one you might recall as a kid or at least, have seen on eBay in the vintage section. 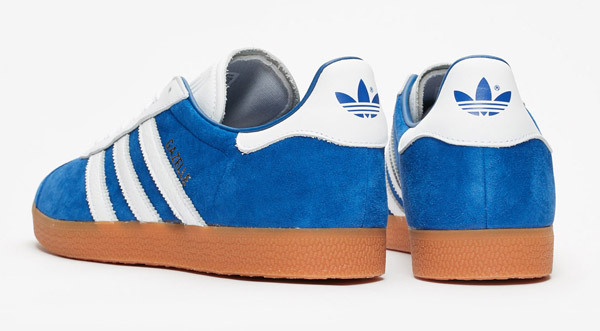 Of late, the shoe has been reworks of the 1991 design, but this time it has moved away from that style a little and added back in the white eyelet for detail to great effect and reworked the gum sole a little. Nothing extreme, just putting things right. 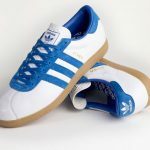 The new version is just available in a choice of blue or red for now, both with a nubuck upper, OrthoLite sockliner and the rubber outsole and of course, finished with the serrated three steps and the leather heel with Adidas logo. 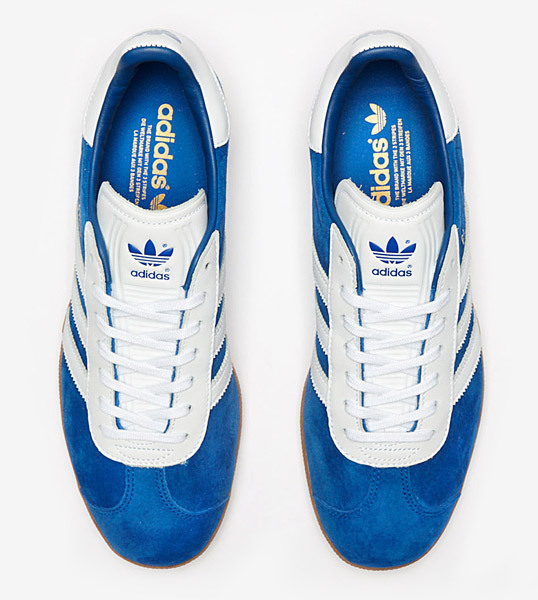 The only place showing stock of the new Gazelle is Sneakers n Stuff, although it doesn’t look to be an exclusive to that particular retailer. 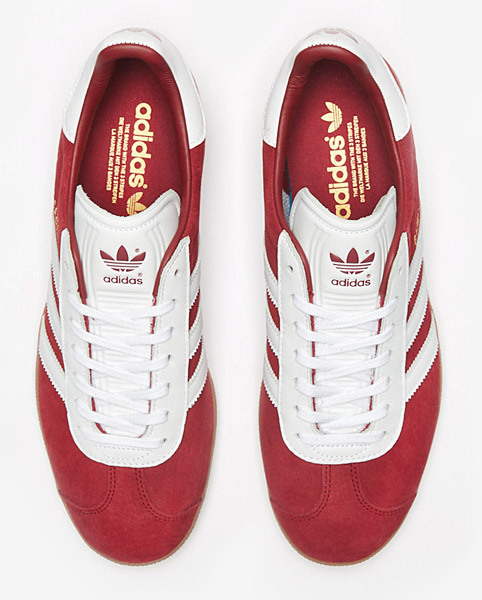 Either way, it has them now and the price for a pair is £85.